Swordfish is one of the smartest creatures in the waters. They like to eat fresh bait. It's the key secret of catching a swordfish. But you have to prepare it carefully. It's easy but the way you cut can make it a difficult day at the sea. Here you will see a good sample of cutting bonito bait with tail, by a pro staff of LRM Tackle. This is how they get ready for swordfish in Florida. 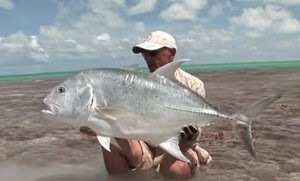 I have tried this method in Cyprus and it worked for barracuda and great amberjack as well.